Ingram Entertainment is a distributor of Blu-ray and DVD physical media. Blu-ray, is physical media also known as Blu-ray Disc, is a high capacity optical disc format that supports high-definition video displays. 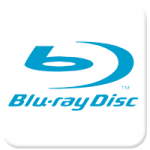 Blu-ray derives its name from the color of the blue-violet laser that compatible Blu-ray players use to create a shorter wavelength than that of a red laser. This allows far more data to be stored and used by a Blu-ray player than a standard DVD player, resulting in better picture, quality, and sound. Blu-ray is the current superior resolution that is offered to mass markets today. But you have to take more into account than just the term resolution. Bitrate and compression also come into play. DVD, is physical media that stands for Digital Versatile Disc and is also sometimes known as Digital Video Disc. DVD players use a red laser to read data off of the DVD optical disc and translate the data to video picture and sound that is far superior to the older VHS tape format. While Blu-ray continues to grow in popularity, the DVD disc is still the best-selling format.